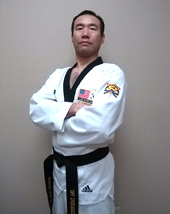 • Kukkiwon Certified 7th Degree Black Belt. • Over 30 years teaching experience. • Received his Taekwondo master instructor certification and his Olympic-style Taekwondo certification in 1992.
at Taekwondo headquarters, Kukkiwon, • Korean Olympic member, Seoul, 1988. • Korean National Demonstration Team member, 1993. Los Angeles, California from 1993 to 2010. 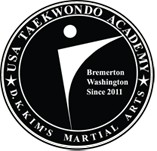 • 2018-2019 President of Washington State Taekwondo Association.